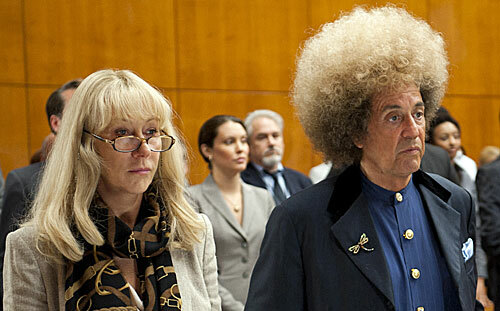 With an impressive cast led by Dame Helen Mirren and that perpetual scenery-chewer Al Pacino plus a legendary director-writer, Chicagoan David Mamet, hopes were high for Phil Spector, the HBO movie that debuts on Sunday and which charts the murder trial of the legendary architect of the Wall of Sound. Mamet, so well-known for his verisimilitude, has let us down here, and so has HBO, which famously brought us three installments of Paradise Lost, documenting the genuinely unjust convictions of the West Memphis Three. In stark contrast, and sad as it is to say, Spector very much belongs where he is. “Papers, papers—show us your papers!” As if being a musician traveling abroad isn’t difficult enough already, with permits required for valuable instruments that may include pieces made out of protected materials such as ivory, tortoiseshell, and Brazilian rosewood, a move is afoot at the Convention on International Trade in Endangered Species, pushed by the United States, to require musicians not only to have a passport for themselves, but for their instruments, too. The feds say a new passport system actually would be an improvement on the current state of affairs, assuring border officials anywhere that the musician has a right to be carrying that instrument. Says Bryan Arroyo, Assistant Director for International Affairs at the U.S. Fish and Wildlife Service: “We want to make sure that we can facilitate the great musicians of the world to be able to move from country to country without fear of losing their precious instruments.” says Arroyo. Speaking of traveling musicians, I don’t often plug gigs in this space (there are plenty of other places to get listings—though it’s very sad indeed to have lost the print version of TimeOut Chicago)—but these two deserve a special nod. Fans of power-pop should be in ecstasy on May 4 when two giants of the genre, Chicago-bred Green and Zion-based Shoes, perform at FitzGeralds in Berwyn. Be ready to get your geek on. And, coming up much quicker: Shout Out Out Out Out, the decades-spanning electronic dance/synth-rock band from Edmonton, Alberta, Canada that blew me away at South by Southwest, also will play at Schubas on Wednesday (March 27). If you care at all about analog synths and cutting-edge EDM, don’t miss it! More than a week has passed since DNAInfo broke the news that Eddie Carranza, the controversial new owner of the Portage Theater, was bringing in a new operator to program the venue, with Dennis Wolkowicz staying on in a consulting role. That followed this blog’s report on March 8 that Carranza was evicting the current programmers, Wolkowicz and his partner Dave Dziedic. Still unclear: Who exactly this new operator, who allegedly assumed all of the licenses that Wolkowicz and Dziedic had secured, might be. The mystery continues. Carranza, meanwhile, appears on Tuesday at the second Liquor Commission hearing for his bigger, more troubled venue, the Congress Theater. The last hearing was very interesting indeed; this one was rescheduled from March 6 to give the owner’s third lawyer in seven months time to get up to speed. Finally, in keeping with tradition each March just after South by Southwest, my Sound Opinions colleague Greg Kot had the scoop in the Tribune earlier this week on this year’s Lollapalooza headliners. 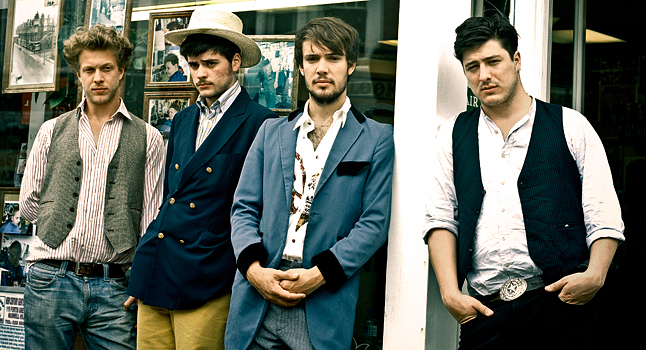 Performing in Grant Park on Aug. 2 to 4: Brit arena-folk-rockers Mumford & Sons, the French alt-dance band Phoenix, the preppie hipsters and Paul Simon wannabes Vampire Weekend and the Vegas glam act the Killers. Discerning music lovers yawn with overwhelming indifference. But for those who care, early-bird tickets go on sale Tuesday.